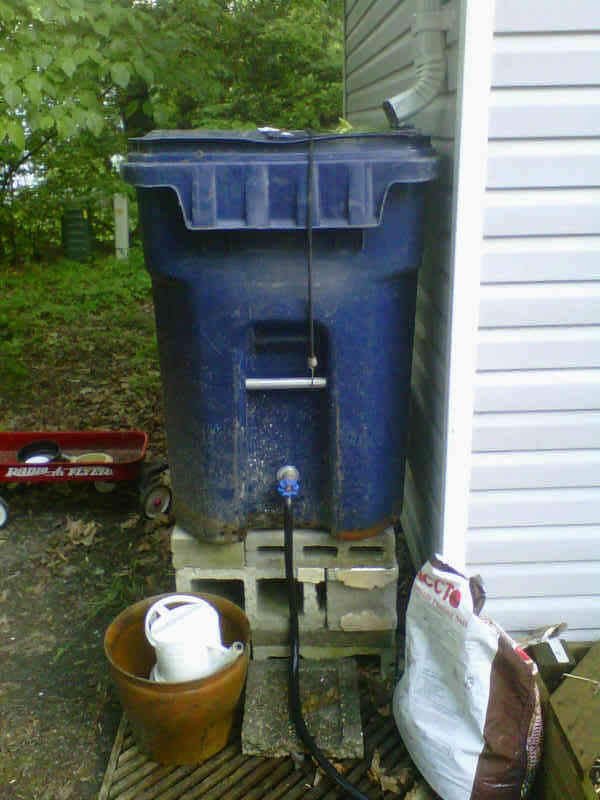 New Kent Public Utilities promotes rain barrels are a simple and effective way to collect and store non-potable water. 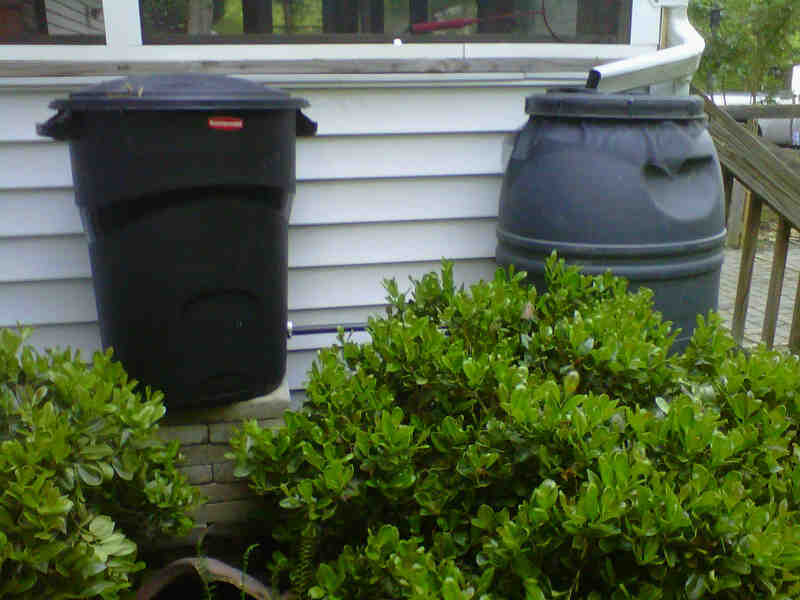 Rain barrels also prevent storm water damage to your landscape from erosion and ground saturation. Rain barrels are best used for hand-watering and trickle irrigation of gardens and flower beds. It is not likely that rain barrels alone will satisfy the irrigation needs of a sodded lawn. Shed Area = 10 ft x 20 ft = 200 sq. ft.
That volume of water is enough to water Kent’s 10 foot x 15 foot garden with over 1.5 inches of water every week for a year, more than enough to supplement the natural rainfall. At the FY2012 Utility Rates, that same amount of rainwater collected also represents an estimated savings of $31.13 in water charges and $43.23 in sewer charges, for a total of $74.36. Just imagine the gallons that could be collected (and the money saved) if Kent harvested rainwater from the roof of his 2,000 square foot home as well! Level the tops of rain barrels linked in series. This 100 gallon rain barrel cost about $6.00.